This table is no shrinking violet. 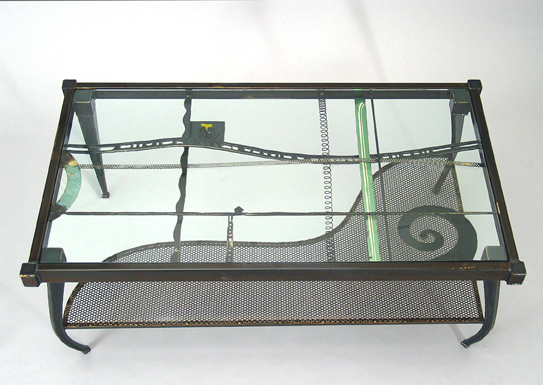 Handsomely constructed from heavy gauge steel and embellished with found objects, this contemporary, heirloom coffee table features a curvaceous lower shelf. Glass top rests inside frame.